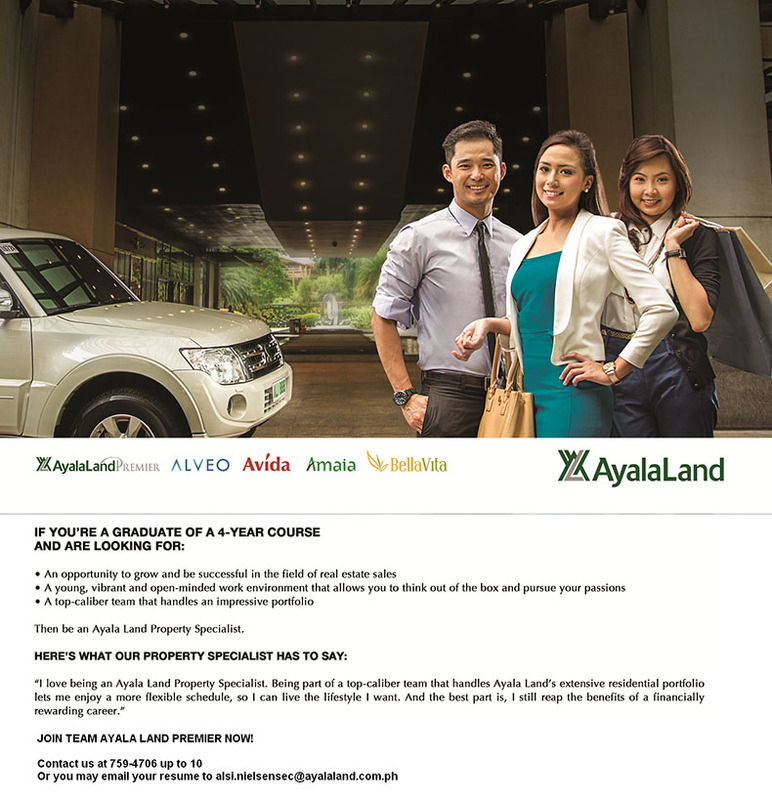 At Ayala Land Sales, Inc. (ALSI), our biggest investment is our people. We train them to be the best that they can be. We support them n their drive to achieve their aspirations. And most of all, we inspire them to build strong relationships with clients, as well as social and professional networks that are essential to the advancement of their careers. We link our people to progress. Enjoy the successful career you’ve always wanted in the country’s most prestigious and most esteemed real estate company! Or e-mail your resume with colored photo to and attach the required documents. Indicate ‘Application of <your name>’ on the subject line. - Qualified candidates will be offered commission and compensation package!!! Should you know of anyone interested in the Property Specialist position please have them e-mail their resume with colored photo toand have them attach the required documents. Indicate ‘Application of <your name>’ on the subject line.